Hey, guys! I’m Lindsay, and I love to craft. On my blog, seelindsay.com, you will find that I do a lot of crafting that consists of being able to get some use out of it. 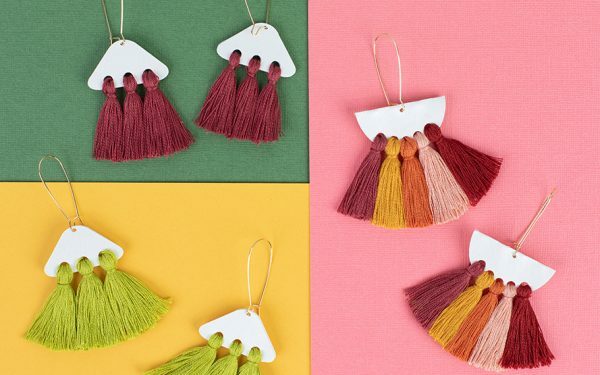 I don’t have a lot of time because my children are animals, and I don’t get me time very often, so I have to choose crafts that are practical. St. Patrick’s Day always gets the short end of the stick in our home, but I’m looking to incorporate more secondary holiday traditions, such as having a fun holiday breakfast or dinner. I wanted to make some gold coins to use as embellishments because I own ZERO St. Patrick’s Day decor, and those are easily made that can be reused every year. I created these gold coins using the Silhouette Alta®, and I will show you how I did it in the Silhouette 3D™ software. Follow along if you’d like to make your own! 2. After you’ve selected your import options, you’ll notice that there are quite a few components. This is because this design was originally intended to be created out of paper. But we just want to use a few parts of it. So select the group of designs, right-click, and choose “Ungroup” from the drop-down menu. Then proceed to click and delete the pieces of the designs you don’t need. I deleted everything except for one large coin, one medium coin, and a shamrock. 3. 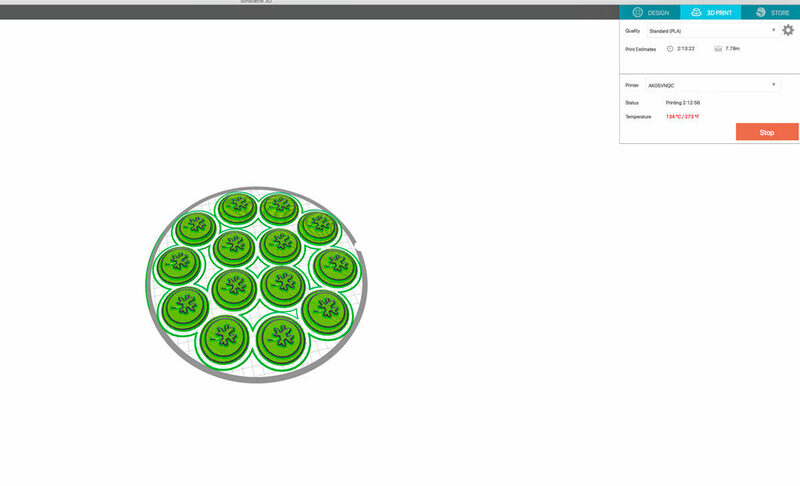 Lay the three remaining pieces onto each other and then use the vertical arrow icon (appears when a design is selected) to adjust the height of the coin. 1. Select the 3D Print tab located in the top right-hand corner of the Silhouette 3D™ software. 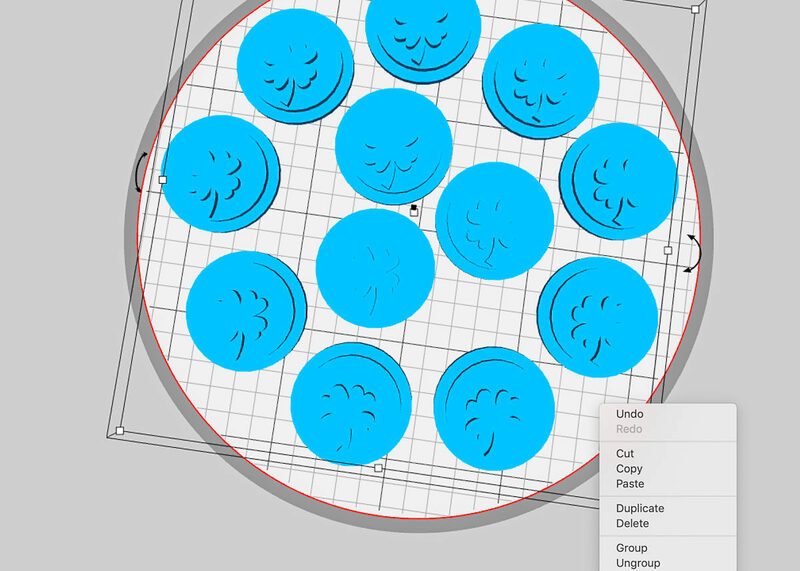 Doing this will automatically slice (or prepare each layer of) your design to be printed. 2. 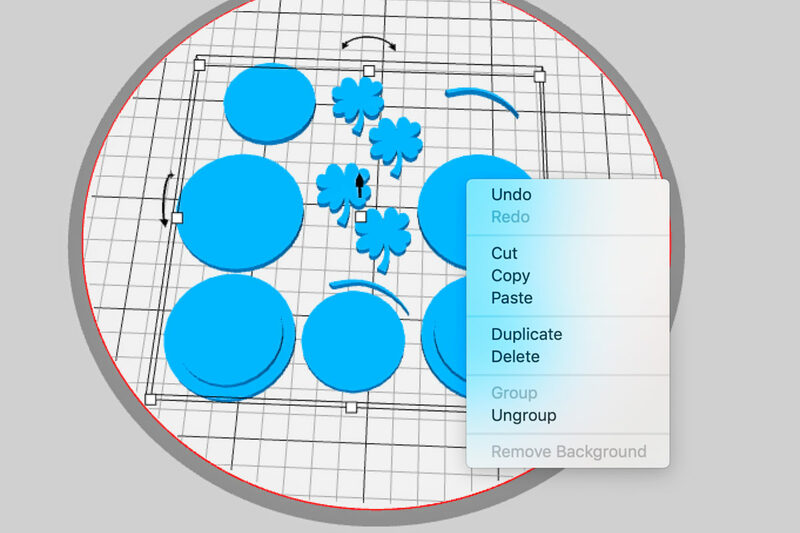 Once your project has been automatically sliced, click Print. You’ll notice that the box in the right-hand corner will give you an estimate of the print time. I like to wait and hang out by my Silhouette Alta® so that I can make sure everything is printing correctly. 1. Once the printed filament has cooled, remove your platform from the Alta and use your included spatula to remove the coins. 2. Lightly sand your coins and then spray paint them with some gold paint. I put three coats of spray paint on my coins, and they turned out shiny and perfect. And that’s it! 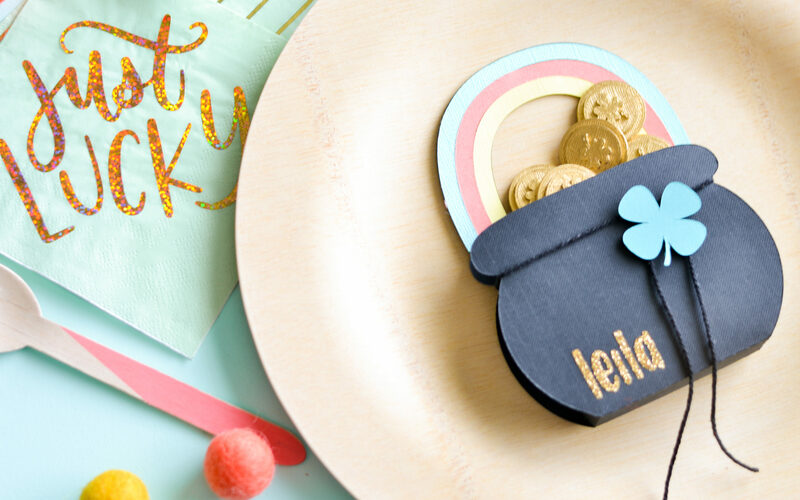 To make use of my coins, I created these pots with rainbow handles and added shamrocks and names of guests for a fun table setting. 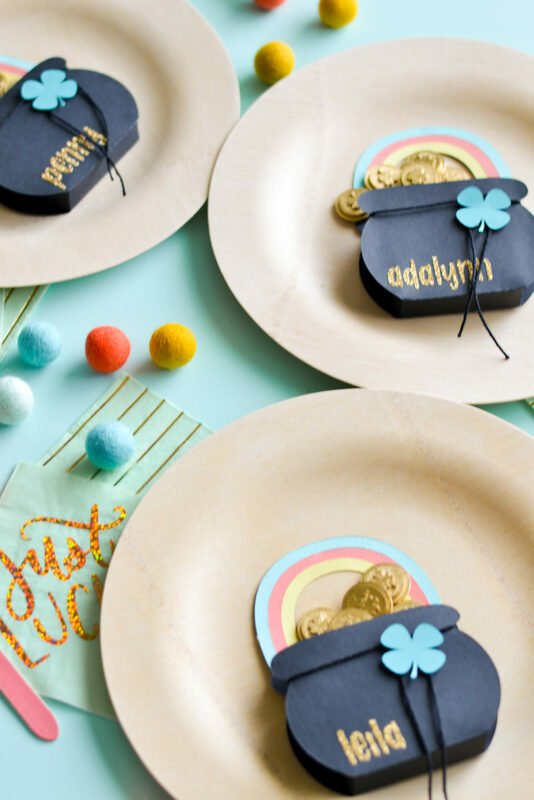 But you can do whatever you want with your fun embellishments. Don’t forget to tell us what you’re going to use your coins for in the comments below!